← The Kessel Run by unknown artist. 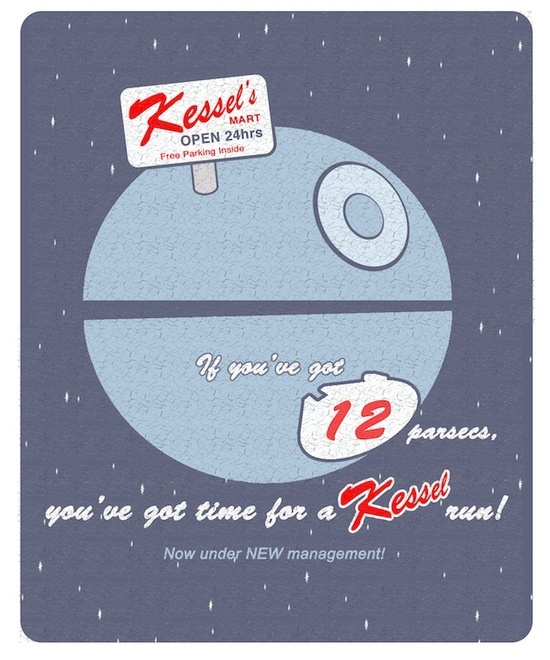 The third image relating to the Millennium Falcon and the Kessel Run is this humerous one that looks like it was created as a tee shirt. I has a look on Red Bubble, but couldn’t see anything. This entry was posted in Art, Things that i don't have yet... and tagged Art, Millenium Falcon, Millennium Falcon, Star Wars, The Kessel Run. Bookmark the permalink.